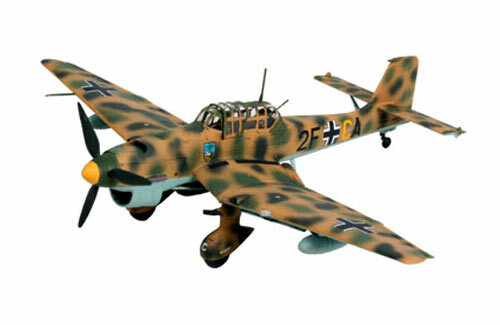 All Products > "04620 Revell 1/72 Junkers Ju-87 B2/R2"
One of the most feared weapons used by the Luftwaffe in World War II was the Ju-87 dive bomber. In its early campaigns, it was highly effective, deadly and without comparable opponent in these theatres of war. Not until the Battle of Britain was the uncamouflaged Stuka shot down in great numbers. Its later successes were only achieved on the Russian front. Max. speed: 373 km/h.